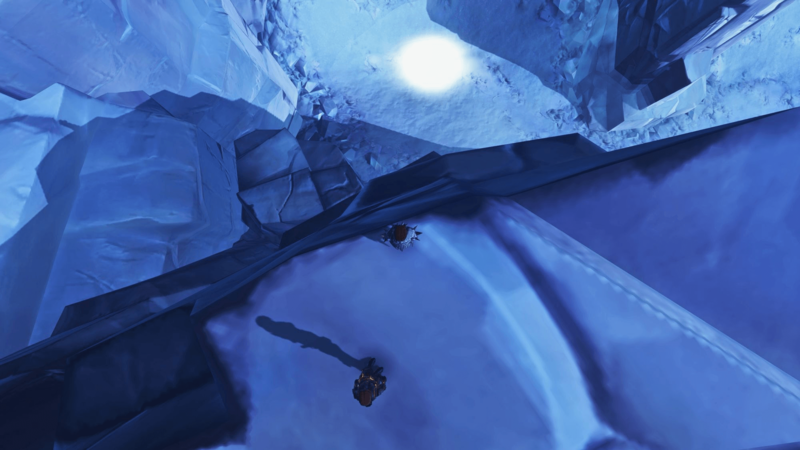 Located at the far South East of the map on Illum is a small passage, leading out into the exhaustion zone. 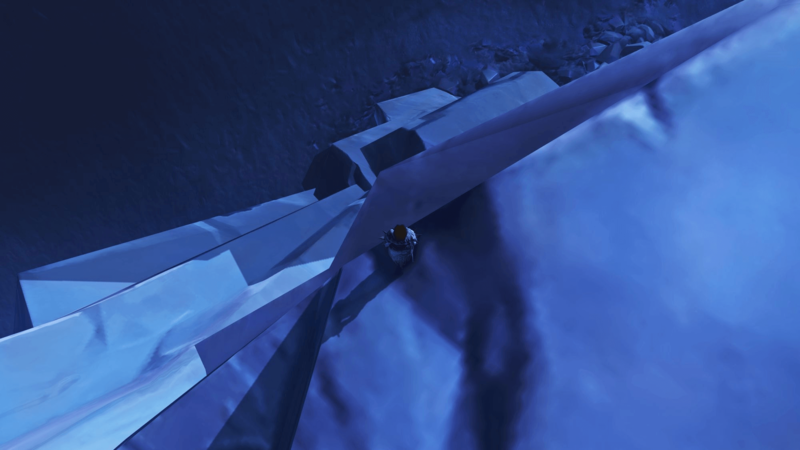 As it may have it, out journey takes us down here into the Eastern Ice Shelf. 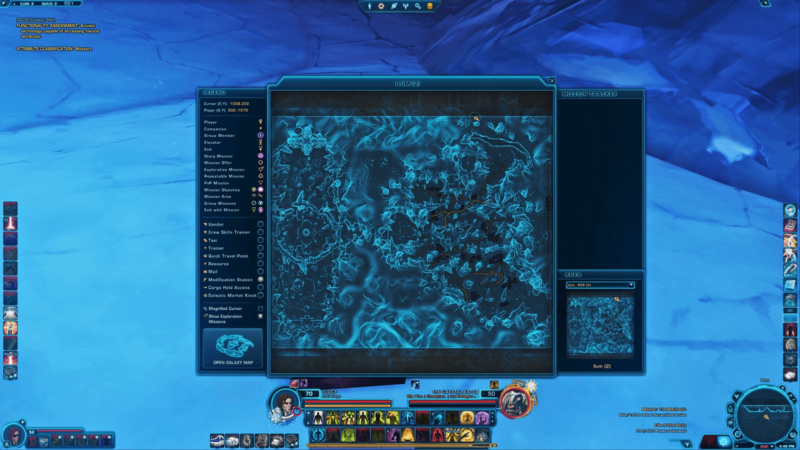 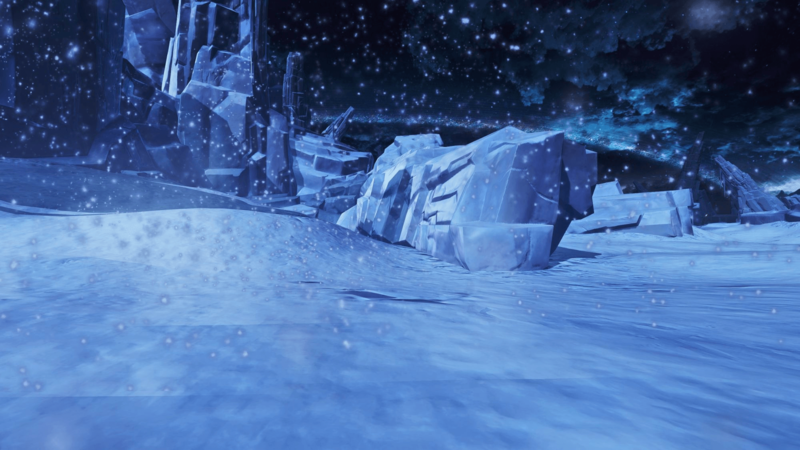 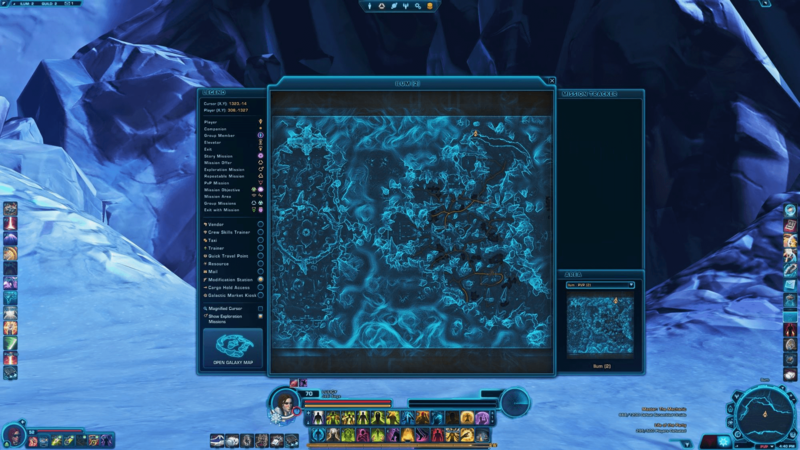 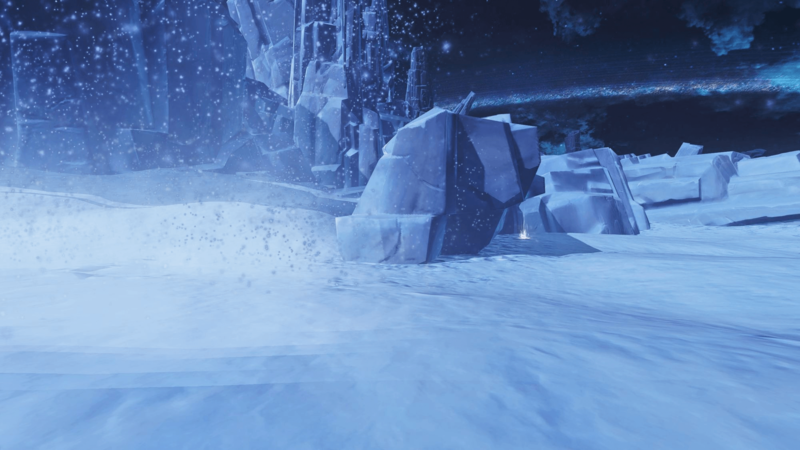 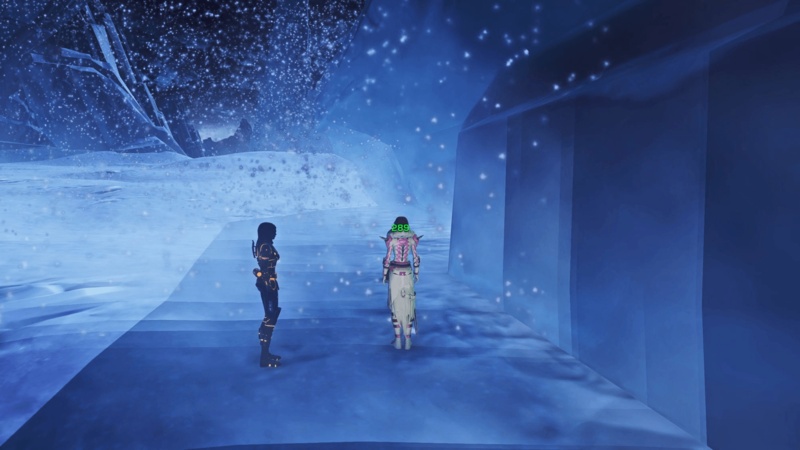 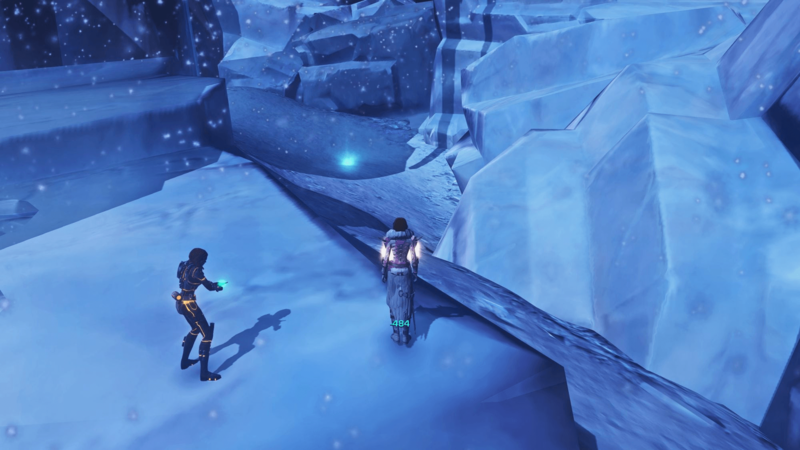 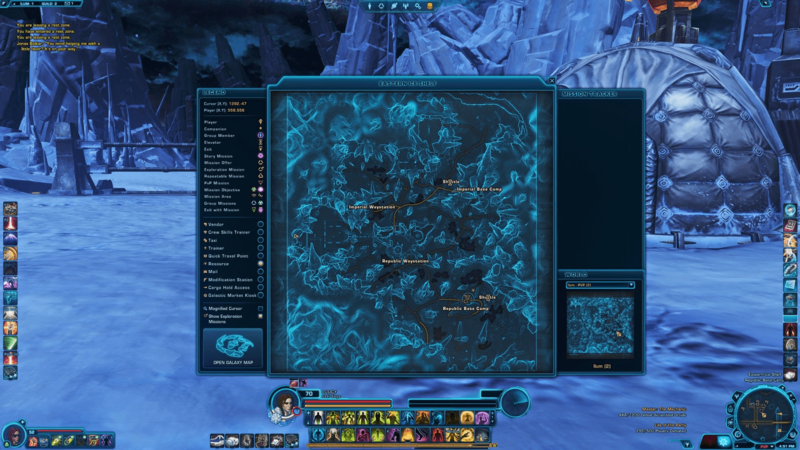 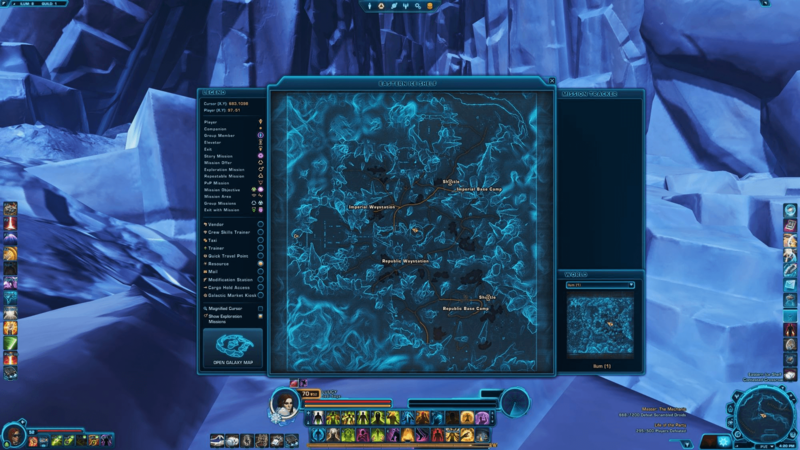 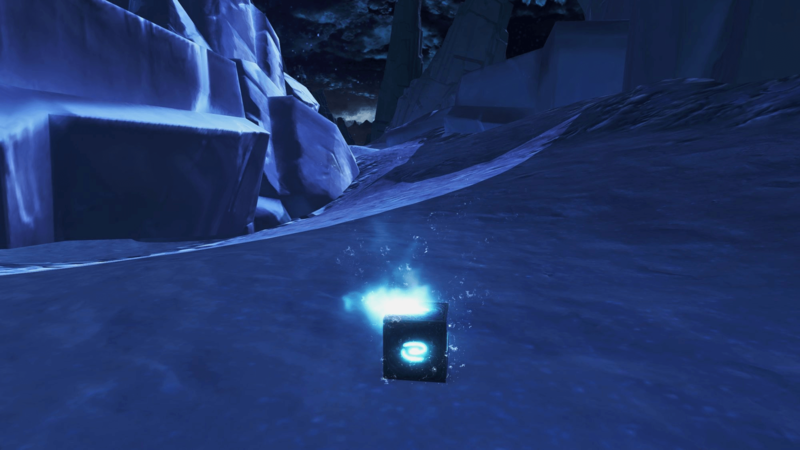 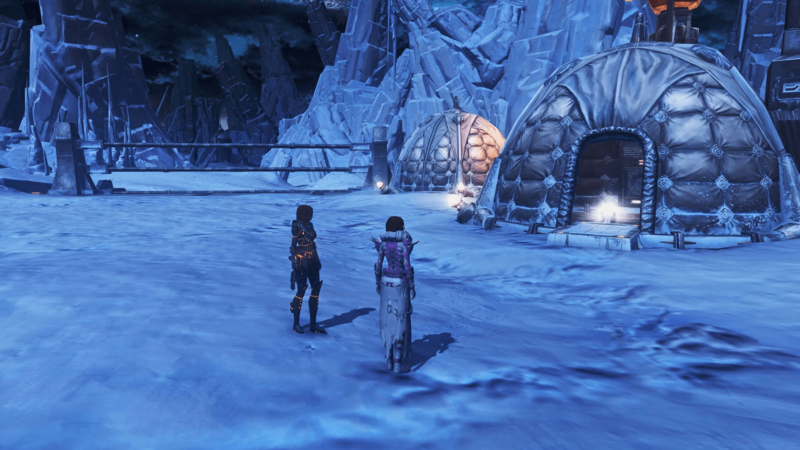 At the very back of the area on the far right side is a ice wall leading out of the map, in order to access this Datacron we will want to follow this wall until it leads back into a hidden part of the map. 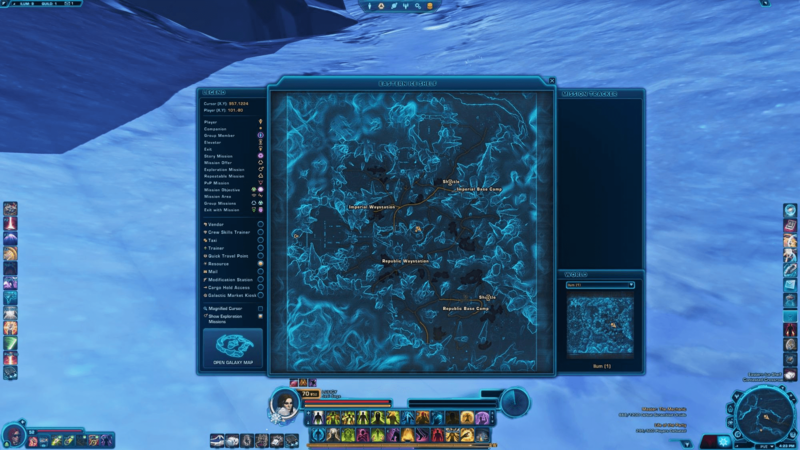 Speed is very important, use all of your speed boosts to make the journey from the start of the exhaustion zone to the Datacron as quick as possible. 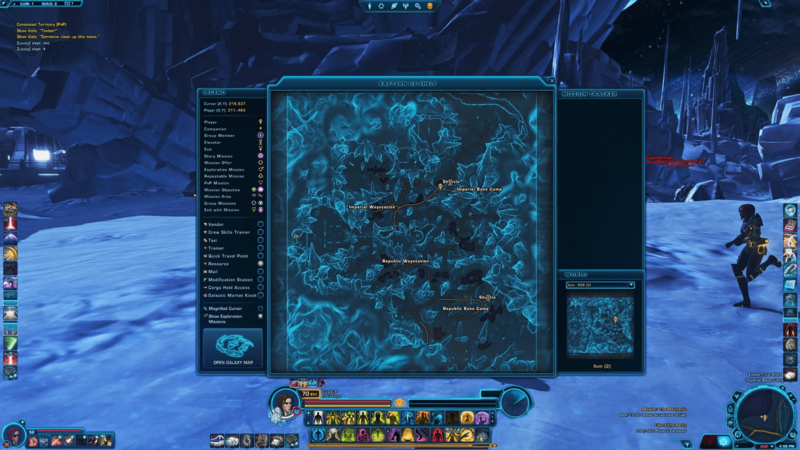 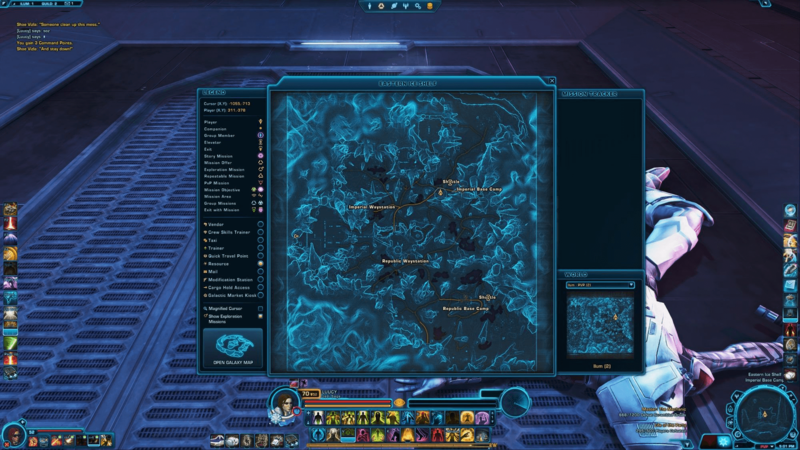 The Datacron is sitting in a safe area, just back into the map. 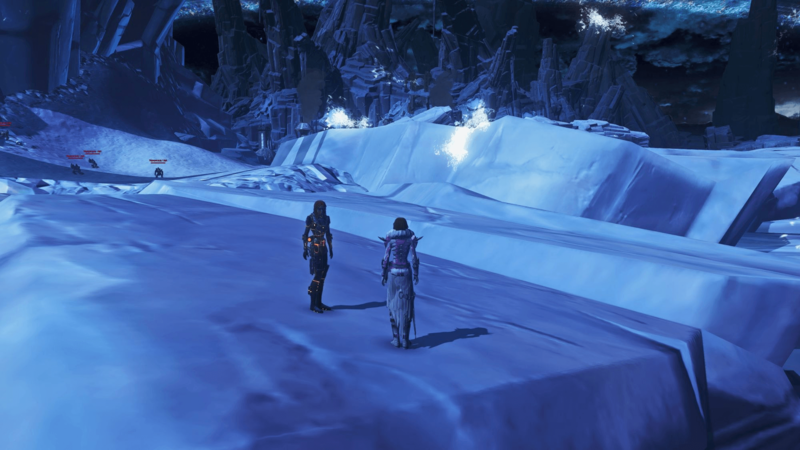 This will be one of the quickest Datacrons to collect, simply head to the location in the first image and fall down onto the rocks below, then lastly onto the snow next to the Datacron. 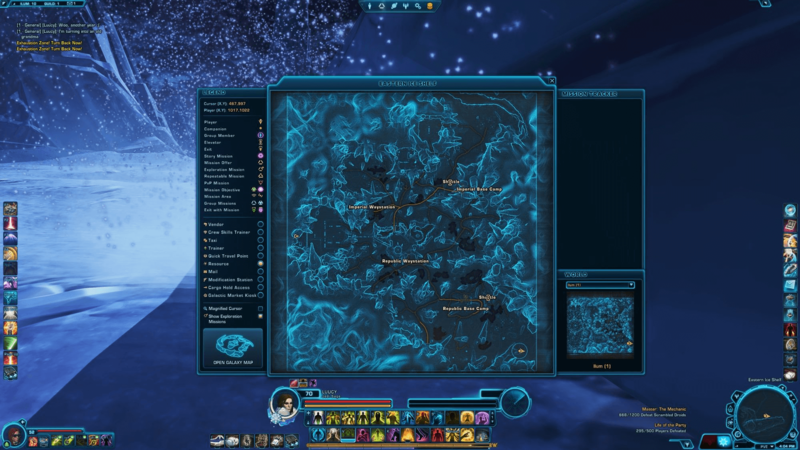 The closest speeder area is around the Republic Way Station, centre of Ilum. 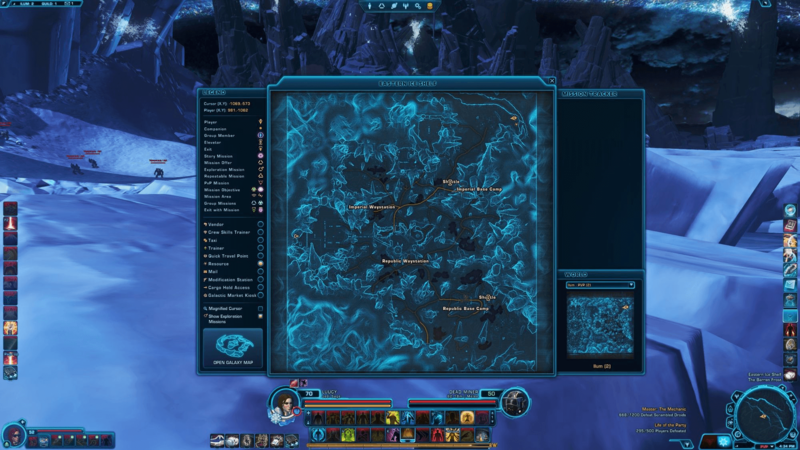 We will be on a rather long journey to get to this Datacron, travel to the top South East of Ilum. 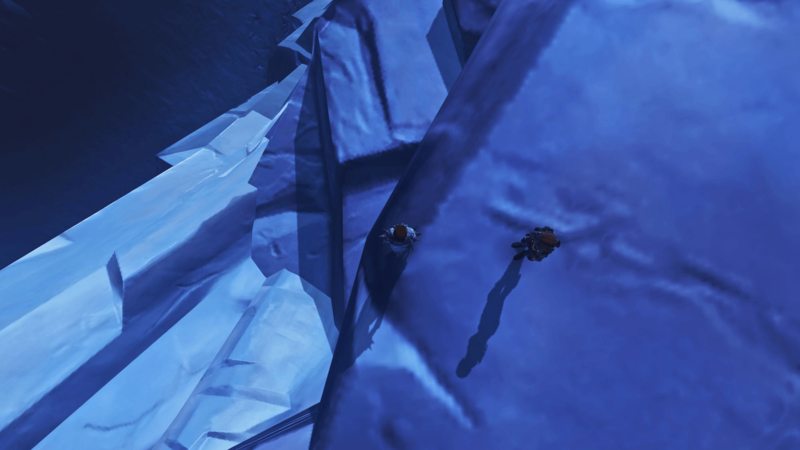 Once we have found the ravine at the fat top right of the map, we will want to slowly make out way down by dropping onto the rocks below. 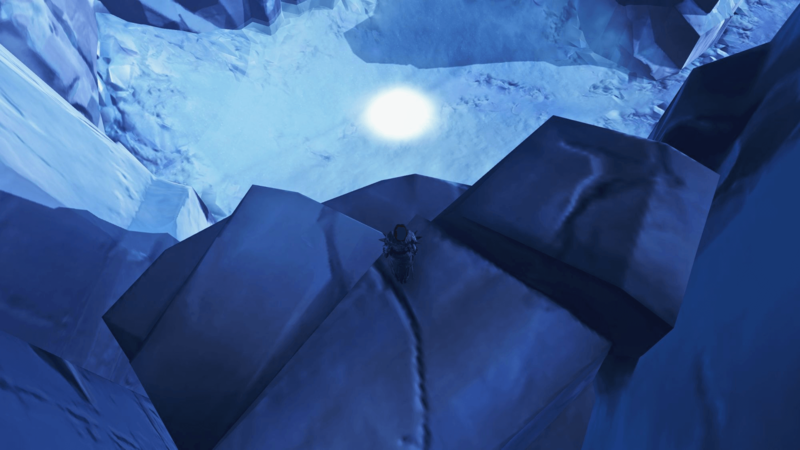 We will now be at the bottom of the Ravine, travel forwards until we reach an opening to a cave. 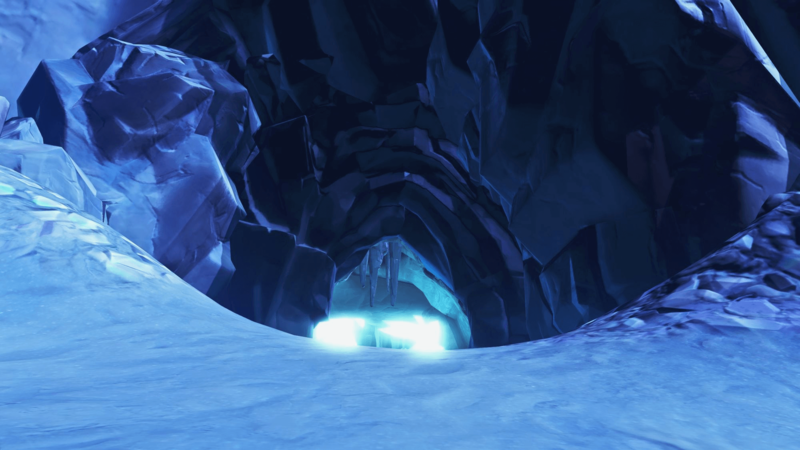 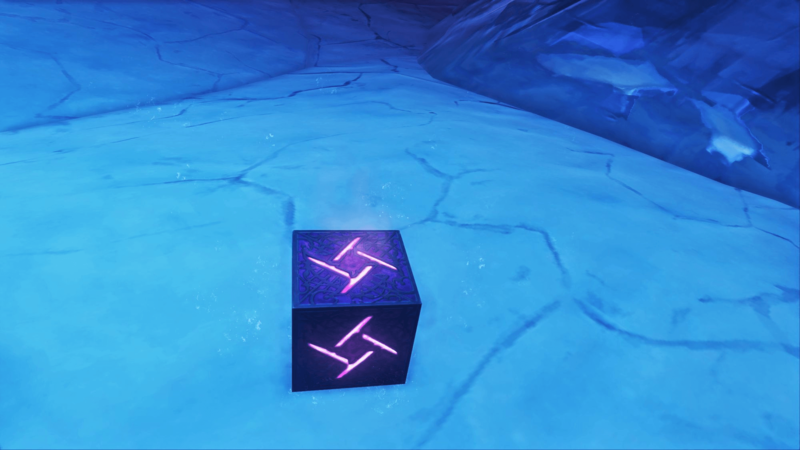 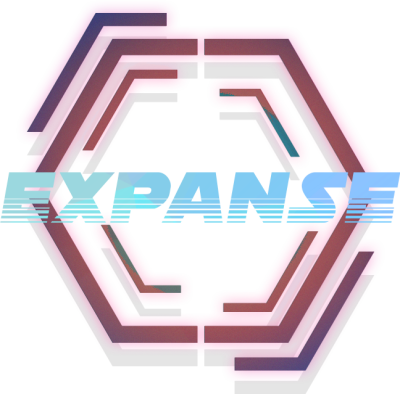 This will be at the very end of the ravine on the right side, facing away from the inside of the map. 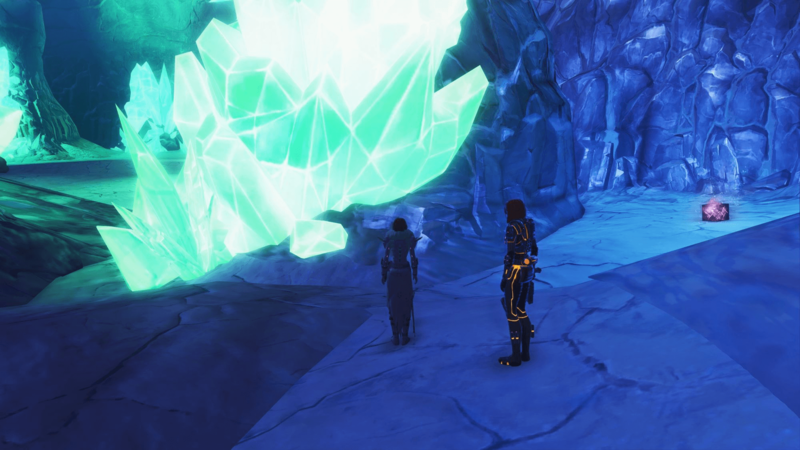 Enter through the cave, you'll be confronted by a rather large Icy Ravager called The Crystal Eater. 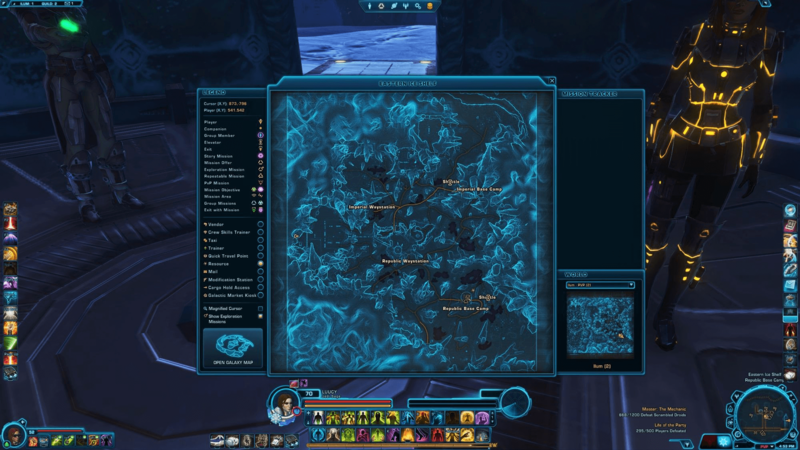 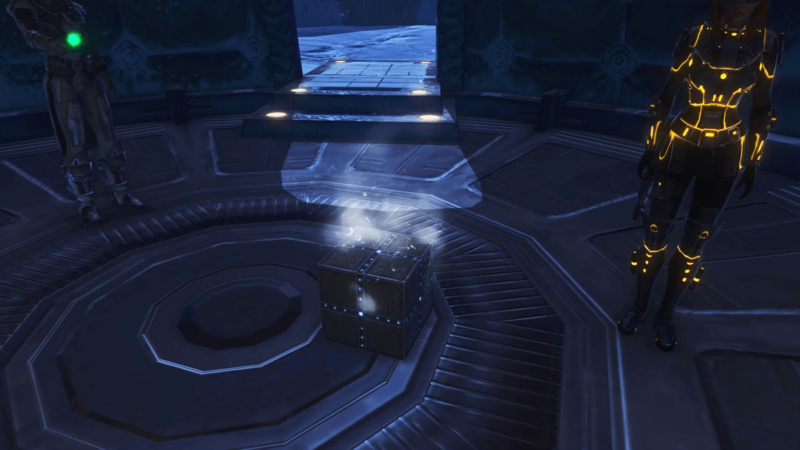 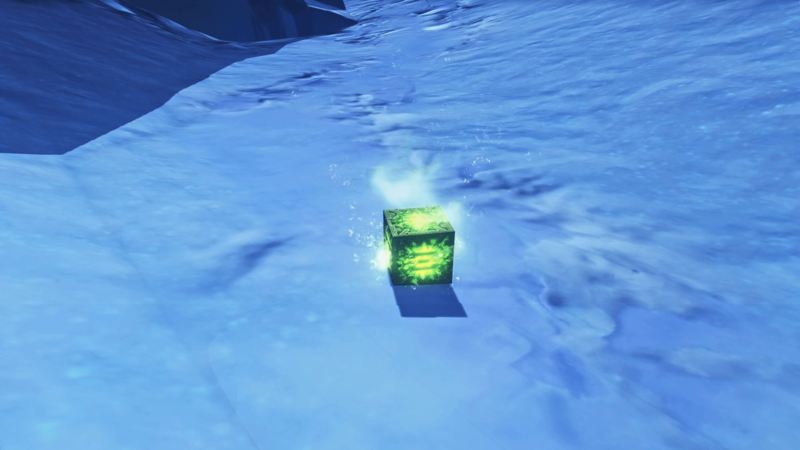 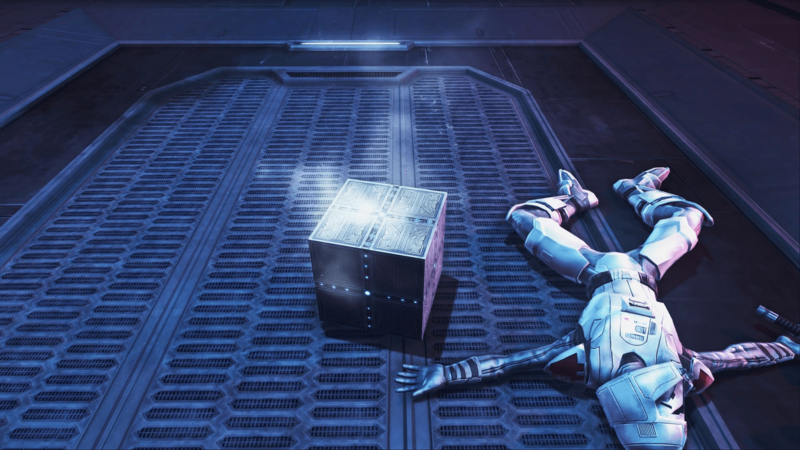 This is not part of the Datacron, however it is worth killing due to it being an achievement related enemy. 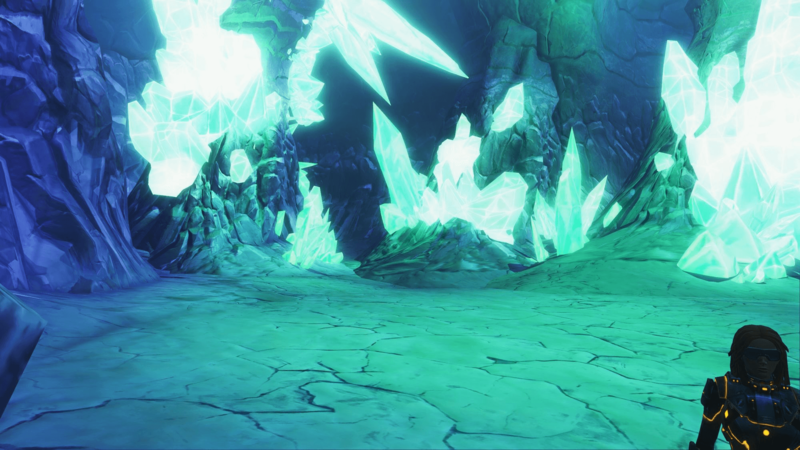 At the fat end of the cave, behind the Eater is the Datacron, hidden behind a pillar of stone and crystal.